a new Christmas bug - target loses red marker, name, health bar... all. I've passed the target and upon turning around he was nowhere to be found as marked, while all the time being clearly locked on the radar. I had to go below to see him against the sky. The same happened in three-four more games, in the dogfights where I simply couldn't see the target I had before the turn. Target's red marker, name, health bar - all disappeared. Edited by zen_monk_, 21 December 2018 - 07:01 PM. I've seen that too this evening twice......both times they were bombers. I had it with targets being GAA twice, and the rest I think HFs or multis. Edited by zen_monk_, 21 December 2018 - 11:52 PM. Just taking note of planes you can't see me in. More contents,more bugs.Audio bug is very annoying,lag is absurd,some bots are highlanders,plus other knows bugs. Me and a clanmate also had this bug several times, with all kinds of enemy planes. This is a serious bug, not like the soundbug. But instead of fixing it I guess they prefer to count the money they make with certificates for tectree planes and camos that they made worthless. Edited by klbergmen, 22 December 2018 - 06:33 PM. Same here, had it happen once with a bomber last night. Had this several times. Mostly bombers, but also some that looked like multiroles or fighters. With bombers its not so much a problem. The real problem is when some sort of fighters come at you, covered by mountains behind them. You have no chance to see them, even when they open fire. I don't know if this happens only to enemies. If this can happen also to friendlies then you also have the problem of friendly fire. Should we make a bet how long it takes until this gets fixed ? I say definitely not this year. 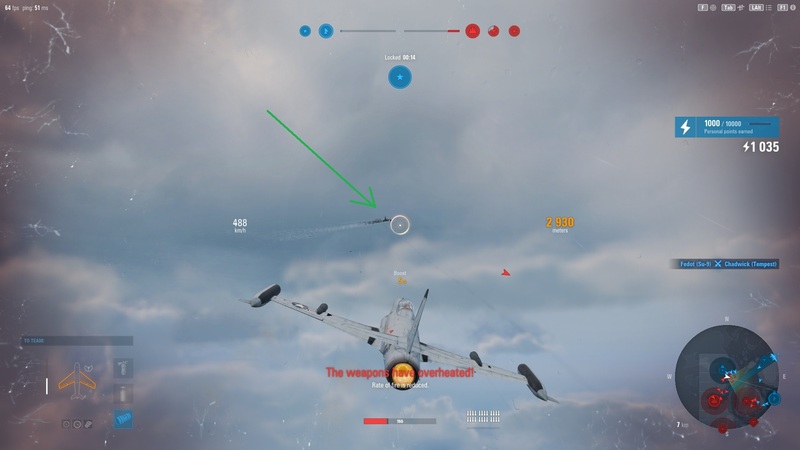 The marker on plane disappears after the marked bomber entered the clouds, thus becoming invisible, and a few seconds later when he emerges from the cloud, it's without the marker. The same goes for all the planes and the clouds but it looks like, say, fighter flying over the mountain where no one of your team can see him so he's invisible for a few seconds - the same thing. So the bug happens when marked enemy becomes invisible due to clouds/cover. You might be on the right path. I observed something similar, just not with clouds. I was flying towards one of our caps and saw enemies coming from the other side of the cap. Then the cap switched side and we lost vision on these enemies (because we didn't have the cap anymore). Next these enemies open fire at me with me not seeing anything (they were still tiny dots in front of a mountain). So in my case we also lost temporarily sight on the enemy and next he pops up without any markers. Yep, that's it. Now we know all. Every time a previously visible targets disappears due to "natural" causes (clouds/obstacles/mountains, whatever) it reappears without the target marker. Your temporary losing sight due to losing cap confirms it perfectly. Thank you for this missing piece. So Devs, you now know when the bug appears. Edited by zen_monk_, 31 December 2018 - 12:48 PM. Maybe some really great camo? Can I get some? Every time a previously visible targets disappears due to "natural" causes (clouds/obstacles/mountains, whatever) it reappears without the target marker. For some funny reason targets do not always lose their marker when out of sight ... there's a map with a lot of mountains and regularly planes fly behind a mountain but I still see the marker moving and just wait for the plane (with marker) to re-appear, then : surprise !! The bars are shown after I use the rear view for a moment. It's a bug, fix already prepared, will be soon shipped.